It’s a classic story line in sustainability: dirty tech goes green. We’ve seen coal mines transformed into geothermal energy stores and dirty plants become gorgeous green buildings. Now, for the first time ever, we may see out-of-use coal mines used as pump storage for wind power in Germany. The state government of Lower Saxony is working with engineers to determine the potential for using abandoned mines in the Harz Mountains to house hydroelectric pumps to store excess wind power. If it comes to fruition, the plant would be the first of its kind in the world. Perhaps the most promising part of the plan is that it has essentially no critics. Environmentalists and local residents like the idea because the storage system would be out of sight, buried in the mountains. Energy experts like the idea because its tailored to suit the local conditions, and coal miners like the idea because the mines will get a new life. 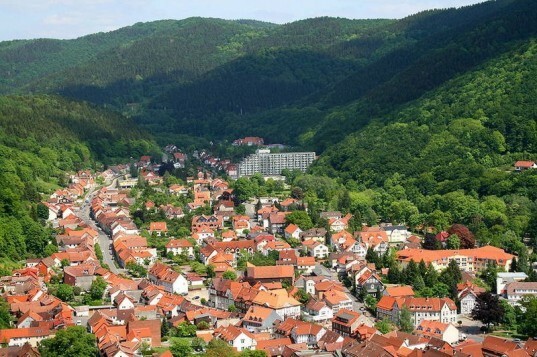 “The tradition of mining is so great in the Harz region, that they want to see the mines back in use again, so there are practically no critics of the project,” said the project’s engineer Mark Schmidt. So, how exactly do hydroelectric pumps store wind power? Since wind power is not always available at the same strength, during times of excess power, the energy needs to be stored. To do this, the excess wind power pumps water into elevated storage tanks or reservoirs. Then when the wind power is not meeting demand on its own, gravity pulls the water to a lower tank, powering the turbines along the way so they still generate electricity. It would be a closed loop system, with the same water cycling through again and again. Variations of these types of water pump storage systems already exist, but the reservoirs are traditionally on top of the mountains and highly visible. The fact that Schmidt’s system would be underground and out of sight is its biggest advantage. Plus, the system is adapting the existing infrastructure of the dormant mines, meaning less construction for the entire project. 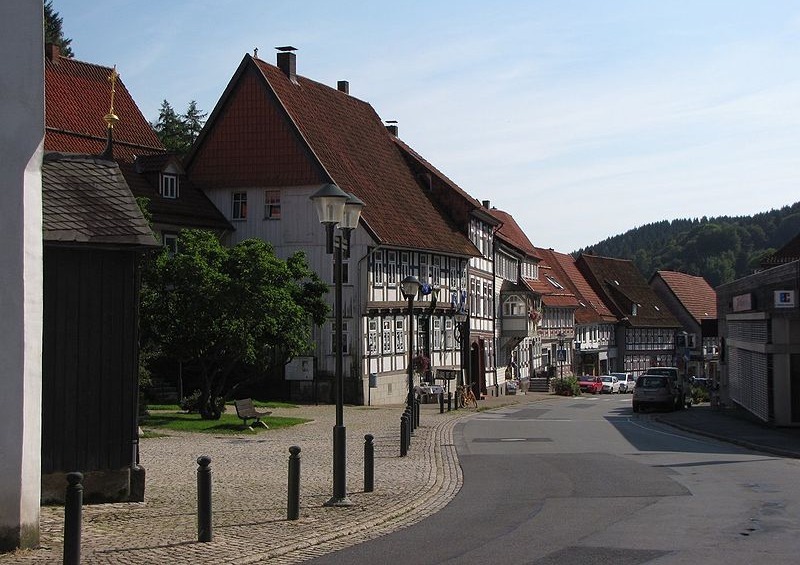 Schmidt has identified six locations in the Harz Mountain region that could be used for plants, with a pilot site being the Wiemannsbucht mine shaft in Bad Grund. The pilot plant would cost between 170 and 200 million euros and take three to five years to build. It would be able to store up to 400 MW of energy, which is enough to power 40,000 homes for a day. Pump storage has been around for years, with Dinorwig in Wales as an ideal example, running inside a mountain since 1984. Unfortunately, (as this article proves) most people are unaware of this method of storing energy, and think that the down time of wind turbines is insurmountable. To get to that conclusion people also have to ignore the fact that when one wind farm isn't generating, another will be. BTW: MW (megawatts) is not a unit of energy - it's a unit of power i.e. how much energy the station can output in a second. And a further point: the number of homes you can power is a fairly useless figure since most people are unaware that homes account for maybe 4% of energy use in a country such as the UK. Percentage of total national/world energy or electricity use is a number that means more - or comparison to a fossil fuel station, perhaps. It's a classic story line in sustainability: dirty tech goes green. We've seen coal mines transformed into geothermal energy stores and dirty plants become gorgeous green buildings. Now, for the first time ever, we may see out-of-use coal mines used as pump storage for wind power in Germany. The state government of Lower Saxony is working with engineers to determine the potential for using abandoned mines in the Harz Mountains to house hydroelectric pumps to store excess wind power. If it comes to fruition, the plant would be the first of its kind in the world.